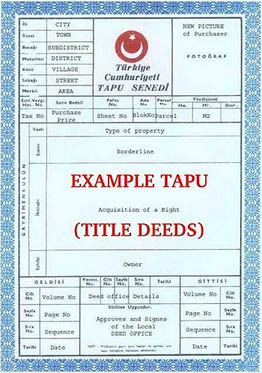 To purchase a property you will need a Turkish tax number and bank account. Once the full deposit has been paid, purchase applications are sent for military clearance (to check the property is not in a military zone) before the title deeds can be changed into the buyers name - this is a standard procedure on all property. The contract and your passport is translated by an official translator. A holding deposit is required to purchase a property, this is usually around 1,000gbp-3,000gbp. Thereafter, at an agreed date the full deposit is to be paid, this is usually 10% (less the holding deposit). The final payment is During Title Deed Transfer, All the payment amounts / dates vary depending on the agreement between vendor and purchaser. You will need to pay the standard 2% to the estate agency as a finders fee. Property purchase tax (UK equivalent to stamp duty) which is 4% of the property purchase price, military clearance costs which is around 500gbp depending on the size of the property, utility transfers approx 150gbp, official translations and notary costs approx 50gbp. There are a number of Turkish banks offering mortgages to foreign nationals wishing to buy property in Turkey. Loan proportions, interest rates and requirements may vary for individual banks. Interest rates have dropped and are currently stable. Typically they are around 7-9 per cent. You do not legally have to appoint a lawyer for purchasing / selling a property, however we recommend this. A lawyer will check all relevant documents - the TAPU (title deeds) and the Iskan (certificate of habitation). They will also check that a foreigner can buy this property or land, and that they are no other issues with the tapu i.e. charges or debts. If you are purchasing a property in Turkey but you are in the UK you can appoint your lawyer as a power or attorney to sign any paperwork or make any payments on your behalf. 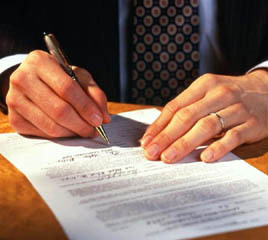 A power of attorney does not have to be a lawyer, this can be a close friend or someone you trust in Turkey. The completion process can take up to around 5 weeks. When buying or selling a property the water and electric meters need to be changed to the current owners name and direct debits set up at the bank. Property by law should have DASK Insurance (earthquake insurance) set up, but we highly recommend 'Property and Contents Insurance' as well. 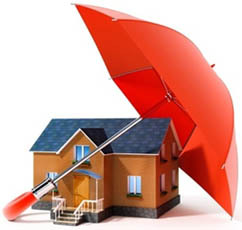 Please be aware DASK Insurance covers only against earthquake damage, this does not cover other bad weather damage i.e. flooding / wind damage. Council tax is very cheap in Turkey, around 0.1% of the property value, typically 30-50gbp per year. If you have owed a property over 5 years and you then sell you do not have to pay tax. Once your Turkish property is registered in your name, it is advisable to update your UK will referring to your new home. Your UK will is legal in Turkey, but it is advised to make a will in Turkey. We recommend using a lawyer for this. We would be happy to market any property at the price you would like, however we will always give a fair and accurate valuation of the property at that period of time dependent on the property market, this price will be the most attractive to potential clients and will of course sell faster. All valuations of course are free and you only pay commission when a sale is agreed. We work with agents worldwide to promote our properties as well as a range of media - top websites, email mail-outs to potential buyers, UK based agents and exhibitions. We will dress the property for marketing photographs, take all room measurements in feet/inches and meters, a detailed description of the property and its contents. The property will be on our website www.dalyanestate.com within a few days, we ask that you check this and confirm that you are happy with everything - please do let us know if you would like anything changed at any point. Our website www.dalyanestate.com is the oldest of any of the other websites similar to this so will always come top on google search engines.